Walk and Talk with the Artist, David Tomb – Saturday April 5th, 6:00 – 8:30pm in Sutton Hall. 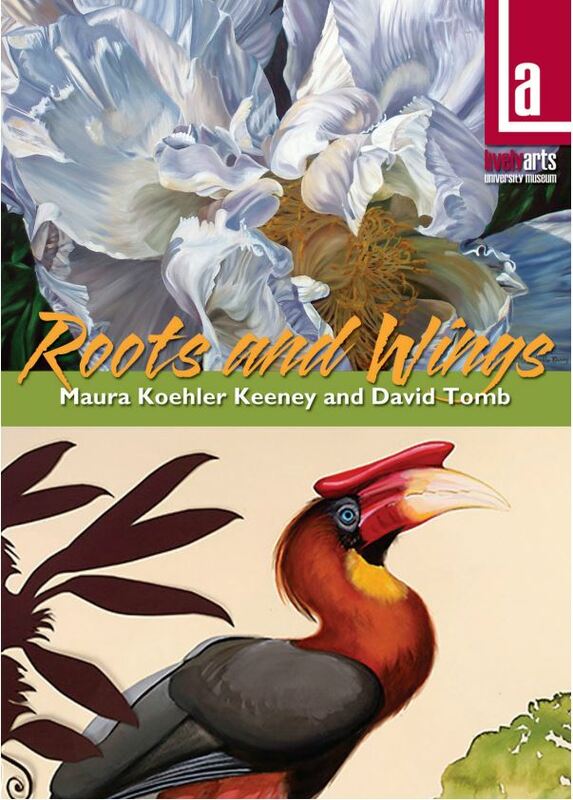 The University Museum celebrates spring with a colorful exhibition of paintings and drawings, Roots and Wings. The featured artists share a connection to nature – a fascination with the intricacies of its life forms and a concern for their struggles to survive in changing climates. David Tomb describes himself as a “bird nerd kid” with a BFA in painting and drawing from California State University, Long Beach, who spent 20 years painting portraits before returning to his first love – birds. His colorful paintings and drawings are inspired by birding trips and his research at science institutions in California and New York. Currently his work is focused on birds of the Philippines. In 2011 he visited Mindanao there to see the endangered Philippine eagle. He is a co-founder of Jeepney Projects Worldwide – Art for Conservation, which supports local efforts to advocate for endangered species and foster habitat conservation. Tomb has exhibited nationally and his work is in the collections of The Huntington Library, the Oakland Museum, the Fine Arts Museums of San Francisco, the U.S. Embassy in the Philippines, and the Consulate General of the United States: Ciudad Juarez and Tijuana.